No matter where you are in life, EWL Financial Planning can help. However, one area in which we specialise is ‘Aged Care’. We are able to provide tailored advice for the elderly looking to enter, or already within, retirement villages and aged care accommodation. The first appointment will be at our expense and is without obligation. Ed and Darren are Authorised Representatives of Matrix Planning Solutions. Ed Leuenberger founded EWL in 1969. Ed has led the growth of the firm, building a financial planning business based on the highest ethics, trust and commitment, where the needs of his clients always comes first. 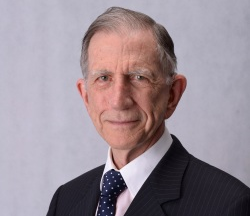 Prior to Ed entering the financial services industry, he worked at the NSW State Public Library and also spent several years working as a Medical Representative both in Australia and the United Kingdom. Ed is also an important mentor within the practice to all his staff. Darren Frawley joined EWL in 1996 and was made a Senior Associate in 2002. Darren brought with him a degree in Economics from the Australian National University, a Graduate Diploma in Applied Finance and Investment and is a Fellow of FINSIA (formally ‘The Securities Institute of Australia’). Darren became a CERTIFIED FINANCIAL PLANNER™ in 2007, the peak designation for financial planners who belong to the Financial Planning Association. 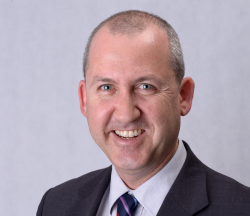 Darren’s main areas of expertise include investment advice, cash flow management and aged care advice. Out of the office you will find Darren on the golf course, trying to keep up with his three children and being an amateur astronomer. EWL Financial Planning ABN 28 002 557 039 is a Corporate Authorised Representative of Matrix Planning Solutions Limited, Australian Financial Services Licensee. ABN 45 087 470 200, AFSL & ACL No. 238256. Site by Octosis.